I couldn't resist picking up this little gem from Any Amount of Books. It's a 48 page stapled digest published by Whitman Press in Sydney, and is a reprint of a US crime pulp by John Dow published by Mystery House in 1945. Celebrated Melbourne book seller and collector of penny bloods and all things macabre, John P. Quaine, mentions it in his letters to Stanley Larnach, now housed in the State Library of Victoria. In February 1951 he wrote to fellow Bloods collector Larnach: "If you see a sixpenny thriller, pub in Sydney, called Curse of the Mummy, grab a copy as a curio. 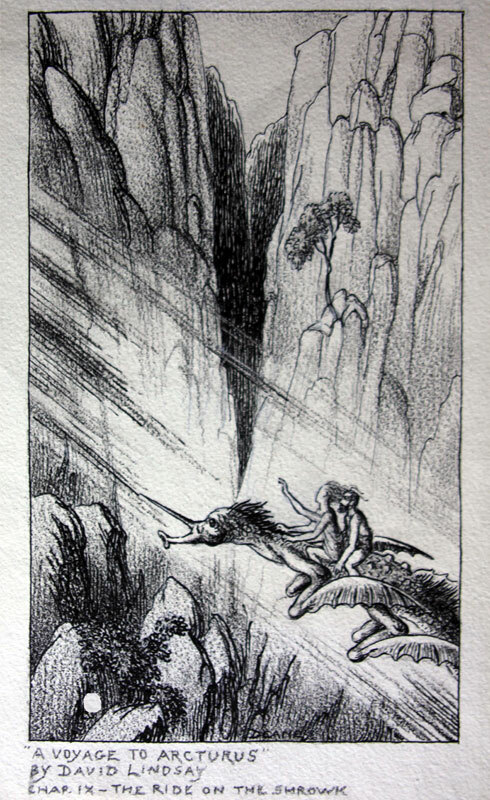 It has a ferocious illus heading to chap one, worthy of an oldtime blood. A skull, a dagger, a wild dark shape in the background, a gory axe in the air, a hideous ape, a hanging corpse, and a rat about to dine off a human arm poking out of a dustbin! Lumme! I’ve got one as a treasure. It is just a recent publication. Another, which I have not got, and I’d like, if you see a spare one, after landing one for yourself, is The Little Boy Laughed. This is another sixpenny thriller. The cover was reproduced in the Argus a few weeks ago as an example of the degraded literature now being printed!" In April 1951 Quaine has managed to acquire the book: "I have two copies of The Little Boy Laughed, and I will send you one later. One turned up just before I went to Bendigo with the wife for Easter, the other I found in a junk shop up there! It was published by The Whitman Press, 21 Macquarie Place, Sydney." Do your children read this trash? Trashy literature, advertisements and films which polluted children's minds were condemned yesterday by the Federation of Victorian Mothers' Clubs' quarterly conference. Holding up copies of cheap paper covered books now on sale in Melbourne, Mrs. Howells said that such literature should be banned. "The time has come," she said, "when parents must rise and say we will not have our children's minds polluted with this trash." Books condemned by the federation included "The Phantom Ranger-A Rescue from the Gallows," and "The Little Boy Laughed," a horror story, full of bashings, violent language and sadistic threats.The second book, which is printed in Sydney includes such passages as: "When the jugular vein is cut, see, the blood gushes out all over this side of hell. Like a geyser." "There she was. Jeeze! What a sight. I wouldn't have missed that for a 100 ice- cream sodas. I never seen a murder before." (A little boy speaking). Delegates decided to send copies of this and similar books to the Premier, asking him to ban their sale in this State. Yesterday I picked out from a Brisbane bookstall a 'sixpenny dreadful' that should make lovely light reading for the kiddies. "When the jugular vein is cut, see, the blood gushes out all over this side of hell. Like a geyser." "There she was. Jeeze! What a sight. I wouldn't have missed that for 100 ice cream sodas. I never seen a murder before." That was the 'Little Boy' talking— the lad on the cover with the bloodstained razor. Little Eddie again: "There's another corpse. I just found it. Jeeze! There's an old woman. . .and she's as dead as a doornail!" A police spokesman said last night that the police had authority to examine any books offered for sale. They could make a report recommending that any book be banned. He added that the Australian books, 'Love Me, Sailor' and 'We Were the Rats’ were banned in Queensland as obscene publications. Customs officers also have a 'banned' book list. On it are 'Lady Chatterley's Lover' and several Thorne Smith books, including 'The Bishop's Jaegers.' 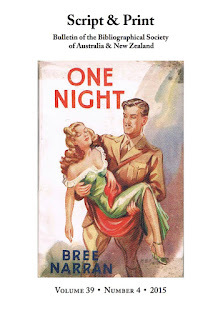 Customs men may also seize any in coming books they consider may be morally unsuitable for Australians. A leading' Queen Street bookseller, Mr. J. Thomson, said: "No reputable Brisbane bookshop, I am sure, would sell a book like 'The Little Boy Laughed.'" Mr. Thomson said James Joyce's 'Ulysses' could be imported into Australia. But it must be sold only to "members of the medical or legal professions, or to students." Gore Vidal's book 'The City in the Pillar' was in the same category. The owner of a street paper stall said to-day that "'The little Boy laughed' sold like hot cakes." "The cover was terrific," he said. 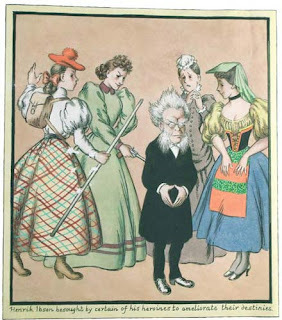 'The Little Boy Laughed' was the focal point of a fierce attack this week by the president of the Federation of Victorian Mothers' Clubs (Mrs. E. B. Howells). Following protests by the federation, the Premier (Mr. McDonald) said on Wednesday that the Government would probably legislate next year to ban 'horror books and horror literature' being printed in Australia for school children. He said: "I feel strongly on this matter. I object to children having their minds polluted and warped by trash and sensationalism produced for profit". Mrs. Howells introduced 'The Little Boy Laughed' to a federation conference during the week. She described the book as "a horror from beginning to end— leaving nothing to the imagination." Some Western novels, including 'Rescue from the. Gallows,' in the 'Phantom Ranger' series, were also criticised by Mrs. Howells. Mrs. Russell Scott, a delegate from Benalla East, defended 'The Phantom' as "one of the goodies." "There's nothing wrong with him," she said; "we're all dying to know when he's going to be married." Just a quick note that John Arnold and I have an article out on William Nicholas Willis and the Anglo-Eastern Publishing Co in the latest issue of Script and Print, the journal of the Bibliographical Society of Australia and New Zealand. 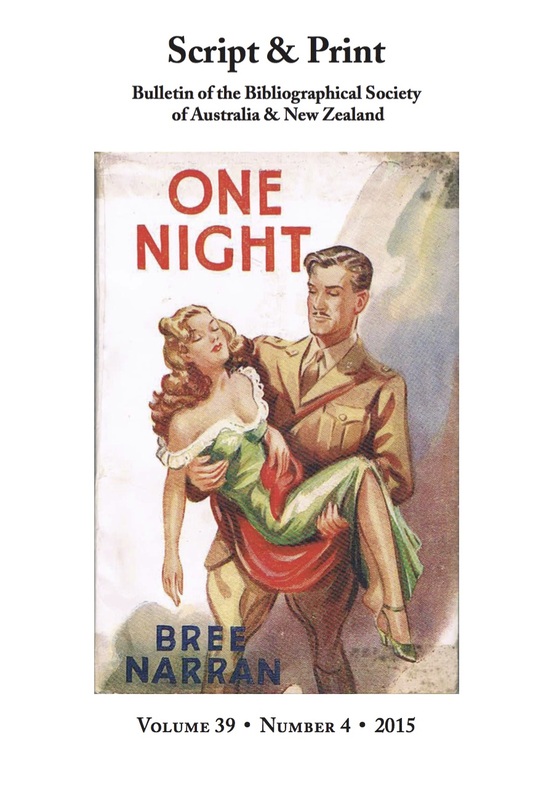 The story of Willis and his publishing company is a remarkable one - quite bizarre - and reveals a previously unknown author who wrote under the name "Bree Narran". The cult thriller writer, R.R. Ryan, wrote at least two books under the Anglo-Eastern imprint. The article is available for purchase as a pdf here. 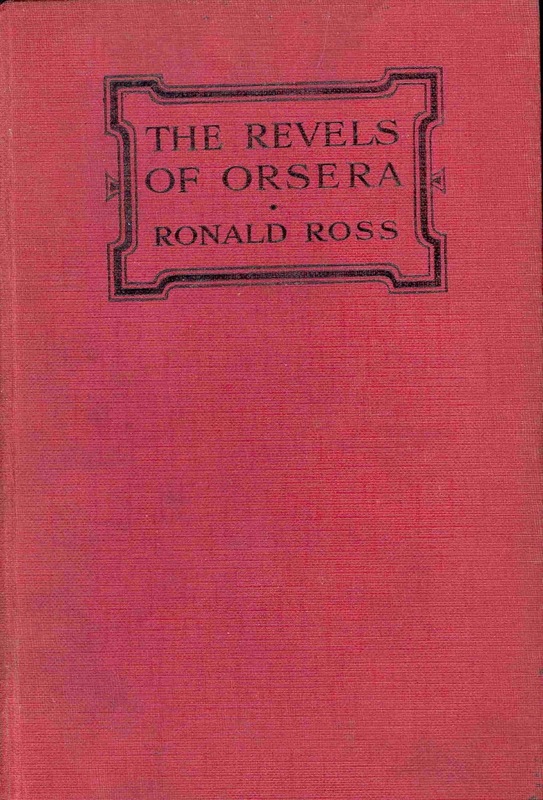 In 1920, Ronald Ross published a novel he'd written twenty-five years earlier entitled The Revels of Orsera: A Mediæval Romance. It came out from John Murray, with an American edition (pictured at right) published by E.P. Dutton. In 1930 there was a reprint of the Murray edition, which has an new preface by the author printed on the verso of the half-title (I gather, on page [ii]). The new edition did not appear in the U.S., and the Wildside Press reprint of 2008 does not include the preface. 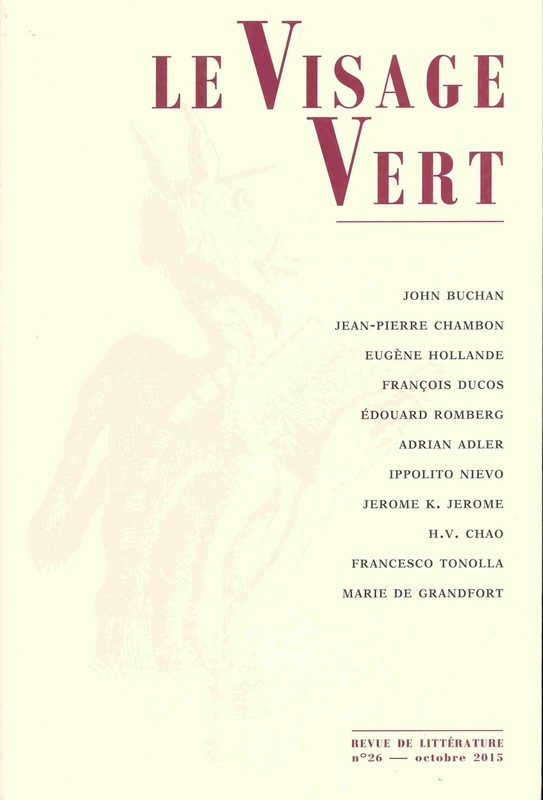 Does anyone out there have this edition who might scan the one page preface for me? Thanks for checking!